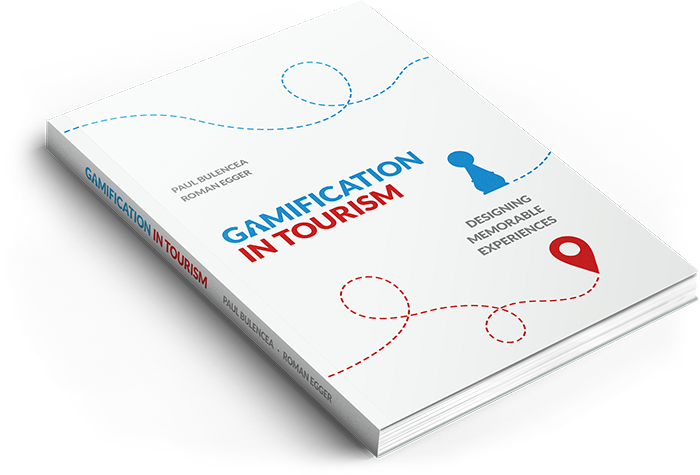 How to design memorable experiences in tourism by linking Gamification to Experience Design is the focus of the new Gamification in Tourism book. For combining these concepts, Paul Bulencea and Roman Egger conceptualized the Memorable Experience Design (MED) framework drawing on a wide body of literature from design thinking, motivation theories, game design and positive psychology. The MED is a well-structured model of how to design memorable experiences in tourism but it can also be applied in other fields. The framework explains the design process and the design properties of memorable experiences. It shows what are the memorable experience components and enhancers. Every part of the framework is explained in detail with examples and mini-cases from game design and tourism. For academics the book is the first to explore the link between Gamification and Experience Design and can serve as the base for further research. For practitioners it helps to better understand how to create the next wave of tourism experiences that should be far more engaging and have the potential of becoming transformational.